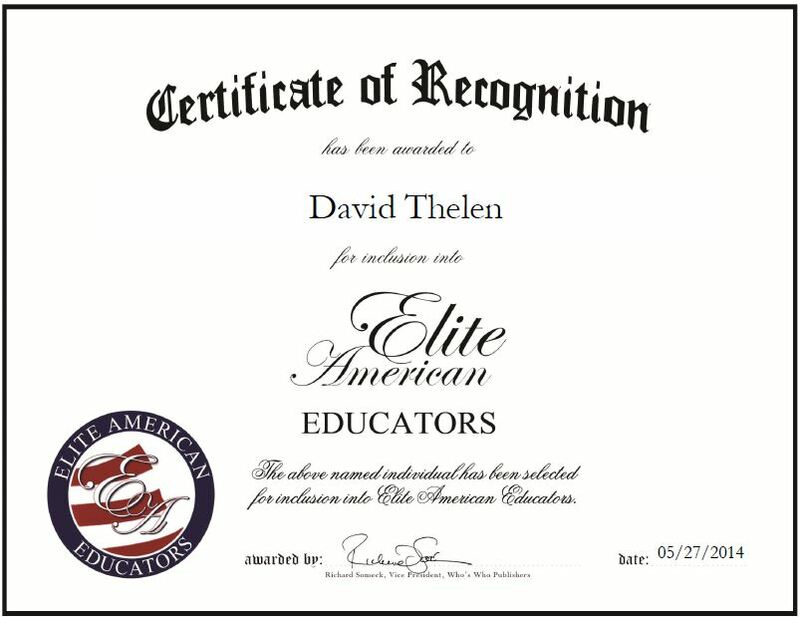 Tryon, NE, May 27, 2014, David Thelen Music and Speech Teacher, Guidance Counselor at Kimball Public School, has been recognized by Elite American Educators for dedication, achievements and leadership in secondary education. While in college, Mr. Thelen enrolled in an engineering course, but quickly decided to branch out into education. He has more than 20 years of professional experience and has dedicated the last 15 years to Kimball Public School. A well-rounded teacher who puts the needs of his students first, Mr. Thelen tries to bring out the best in them by providing them with engaging lessons and connecting with them on a personal level. In his role, Mr. Thelen is responsible for coordinating music programs, overseeing the speech and drama department, maintaining the library, guidance counseling, scheduling, helping with college preparation, and building relationships with students. Mr. Thelen love for teaching children and ongoing education has enabled him to excel in academia. He is a five-time recipient of the Optimist of the Year Award, and won the Service Award from the Knights of Columbus. Mr. Thelen looks to continue growing in a professional capacity and changing the lives of students at Kimball Public School. This entry was posted in Uncategorized and tagged guidance counselor, music and speech teacher, public school. Bookmark the permalink.